The tech support scam is nothing new, but it continues to take different forms as scammers figure out new ways to panic computer users into handing over their credit card information. Security site Malwarebytes reports an increase in these tech support scams attacking Chrome users with fake virus warnings. In a new twist, these scams sometimes successfully lock up users’ browser. As the browser freezes, a message appears warning the computer user to call Microsoft tech support for help immediately. The message also provides a toll free number -- but instead of connecting the frightened consumer to Microsoft, a scammer is waiting on the other end who requires a credit card payment before providing assistance. 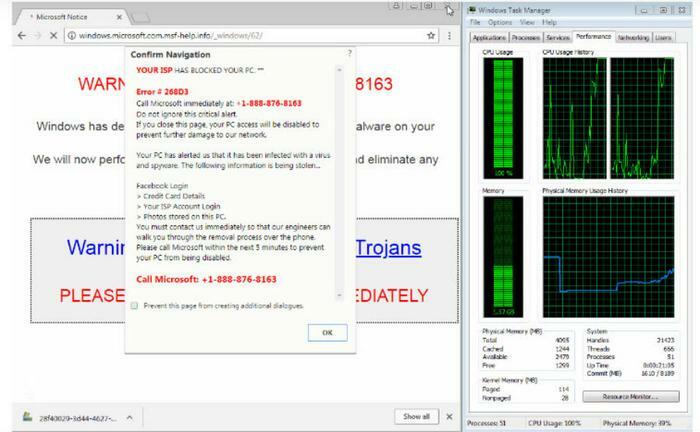 The screen grab below, provided by Malwarebytes, shows what the computer user sees when the scammer strikes and how their computer's performance is affected. A consumer encounters this frightening scam when they visit a website that has embedded the malicious code, or when they come across an advertisement that launches the warning. Consumers can avoid this scam -- and most tech support scams in general -- by avoiding unfamiliar websites. If users do get an onscreen warning, they should never call the number on the screen. Microsoft, meanwhile, would like to know about any tech support scams consumers encounter that mention the company’s name. You can report it here. Law enforcement has successfully cracked down on tech support scammers in recent months. In January, a federal court seized the assets of an alleged tech support scam operation and ordered it distributed to the scam's victims. 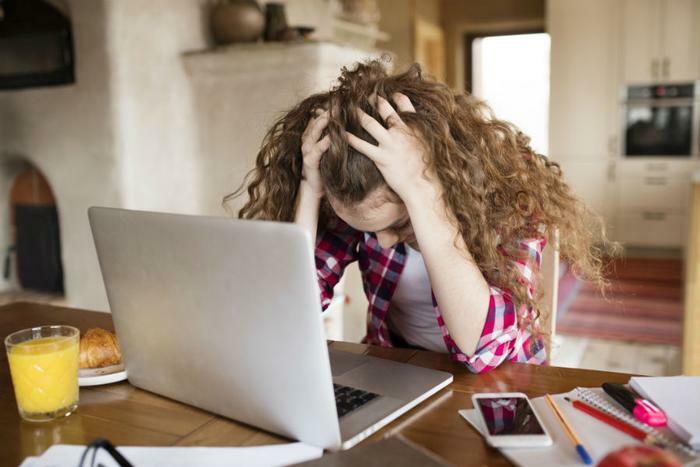 The Federal Trade Commission (FTC) had accused the defendants of using internet ads and popups that claimed to be from major tech companies like Microsoft and Apple to trick consumers into calling the defendants and buying tech support services. States have also been active in pursuing tech support scammers. In 2016, Florida Attorney General Pam Bondi joined with the FTC in securing a $27 million settlement with two companies accused of selling bogus software for $30 to fix non-existent computer problems.